This paper discusses some concepts attributed to the term well-being and different ways to measure it. Then we present an alternative approach based on clustering algorithm to measure Quality of Life considering each dimension of the OECD well-being indicator, the Better Life Index, to minimize the loss of information encountered on aggregated indicators and to obtain a consistent and solid profile, a segmentation per dimension of the countries contemplated by this indicator. To build a consistent and solid profile, first we have standardized each variable, so the influence of a variable that is measured on a much larger scale than the other ones could be removed, then a k-means algorithm was applied for each dimension and the number of clusters was validated by the Silhouette Coefficient and by a visual inspection of the first two or three principal components (PCA) for dimensions with more than two variables. The resulting clusters could be finally analysed. The profiles are considered methodologically robust, because in all dimension we have found no negative values for the Silhouette Coefficient, meaning that the countries that belong to a certain cluster have a high similarity while different clusters held a high dissimilarity and additionally the PCA visual inspection have reinforced our analysis retaining, at least, 89% of common variance for dimension with more than two variables. 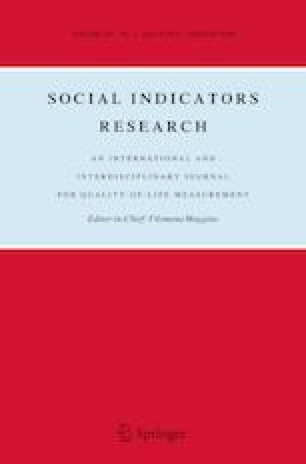 Although the Better Life Index it’s the most complete well-being indicator, considering 11 of the 14 well-being dimensions, only 38 countries are encompassed by the indicator, therefore inferences about countries outside this set may be not significant. Hence a detailed analysis of each dimension is necessary. The combination of the Silhouette Coefficient and the PCA visual inspection proved to be very efficient to analyse this type of data and to validate the number of cluster. Clustering each dimension and then building a profile of countries, proved to be a strong methodology that separates homogeneous elements in heterogeneous groups. Arnott, R. (2008). Housing policy in developing countries: The importance of the informal economy (English). Commission on Growth and Development. Working paper no. 13. Washington, DC: World Bank. Available at: http://documents.worldbank.org/curated/en/573081468149693974/Housing-policy-in-developing-countries-the-importance-of-the-informal-economy. Centre for Buthan Studies. (2015). Gross National Happiness Index explained in detail. Available at: http://www.grossnationalhappiness.com/docs/GNH/PDFs/Sabina_Alkire_method.pdf. Accessed May, 2017. Eurostat. (2011). Multidimensional measurement of the Quality of Life. Available at: http://ec.europa.eu/eurostat/documents/8131721/8131772/TF3-Final-report-Quality-of-Life.pdf. Accessed April, 2017. Glewwe, P. W., Hanushek, E. A., Humpage, S. D., & Ravina, R. (2011). School resources and educational outcomes in developing countries: A review of the literature from 1990 to 2010. Working paper no. 17554. Cambridge, MA: National Bureau of Economic Research. https://doi.org/10.3386/w17554. Golubović, D. (2008). Citizen participation in legislative processes: A short excursion through European best practices. The European Center for Non-Profit Law. Available at: http://www.ecnl.org/dindocuments/274_Brochure%20on%20citizen%20participation%20ENG.pdf. Mcqueen, J. (1967). Some methods for classification and analysis of multivariate observations. In: Proceedings of 5th Berkeley symposium on mathematical statistics and probability. Statistics, (vol. 1, pp. 281–297). Berkeley, CA: University of California Press. Mathematical Reviews Number: MR0214227. Available at: https://projecteuclid.org/euclid.bsmsp/1200512992. Michalos, A. C., Smale, B., Labonté, R., Muharjarine, N., Scott, K., Moore, K., et al. (2011). The Canadian index of wellbeing. Technical Report 1.0. Waterloo, Canadian Index of Wellbeing and University of Waterloo. Available at: http://www.unesco.org/fileadmin/MULTIMEDIA/HQ/CLT/pdf/canadianindexofwellbeingtechnicalpaper.pdf. Mufti, G. B, Bertrand, P., & Moubarki, L. (2012). Decomposition of the Rand Index in Order to Assess Both the Stability and The Number of Clusters of a Partition. HAL id: hal-00707357. Available at: https://hal.archives-ouvertes.fr/hal-00707357/document. OECD. (2014). Executive summary. Available at: http://www.oecdbetterlifeindex.org/media/bli/documents/BLI_executive_summary_2014.pdf. Accessed July, 2017. OECD. (2016). Better Life Index 2016: Definitions and metadata. Available on: http://www.oecdbetterlifeindex.org/about/better-life-initiative/. Accessed April, 2017. United Nations. (2017). World happiness report. Available at: http://worldhappiness.report/wp-content/uploads/sites/2/2017/03/HR17.pdf. Accessed May, 2017. World Bank. (2011). 2011 World development report—Conflict security and development. Washington, D.C.: The International Bank for Reconstruction and Development/The World Bank. Available at: https://siteresources.worldbank.org/INTWDRS/Resources/WDR2011_Full_Text.pdf. World Health Organization. (2007). Working paper no. 9: Aid effectiveness and health. Making Health Systems Work. Department for Health Policy, Development and Services Health Systems and Services WHO, Geneva. Available at: http://www.who.int/hdp/publications/aid.pdf?ua=1. World Health Organization. (2010). Social determinants of health and well-being among young people. Health Behaviour in School-Aged Children (HBSC). Study: International Report from 2009/2010 Survey. Available at: http://www.euro.who.int/__data/assets/pdf_file/0003/163857/Social-determinants-of-health-and-well-being-among-young-people.pdf?ua=1.